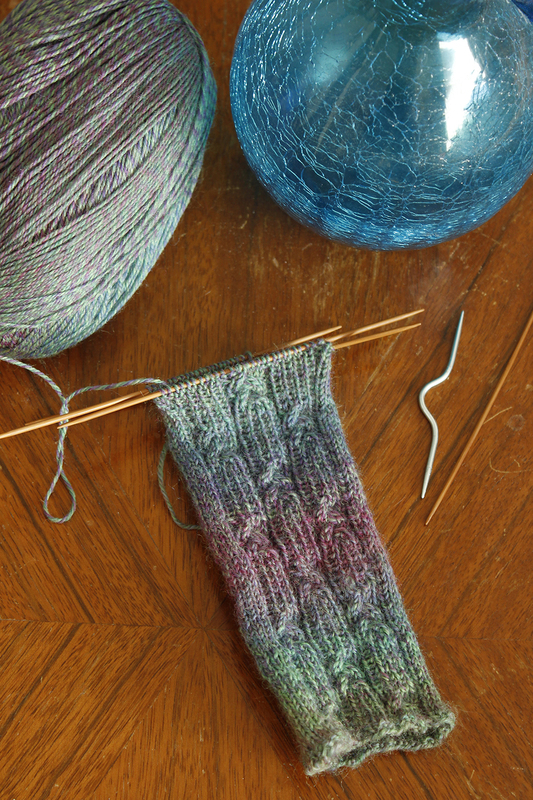 Yarn, needles and projects oh my! My husband and I have decide to sell our house so there has been a sudden flurry of painting and decluttering going on. I realized this morning that I missed a post and remembered how I promised myself to keep this blog going. So here are two projects I’ve being working on. 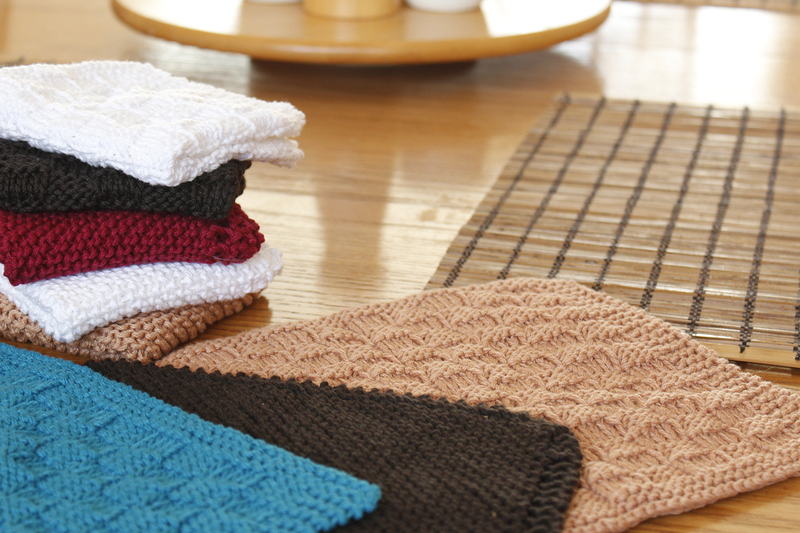 The first is my finished dishcloths. I used two patterns. 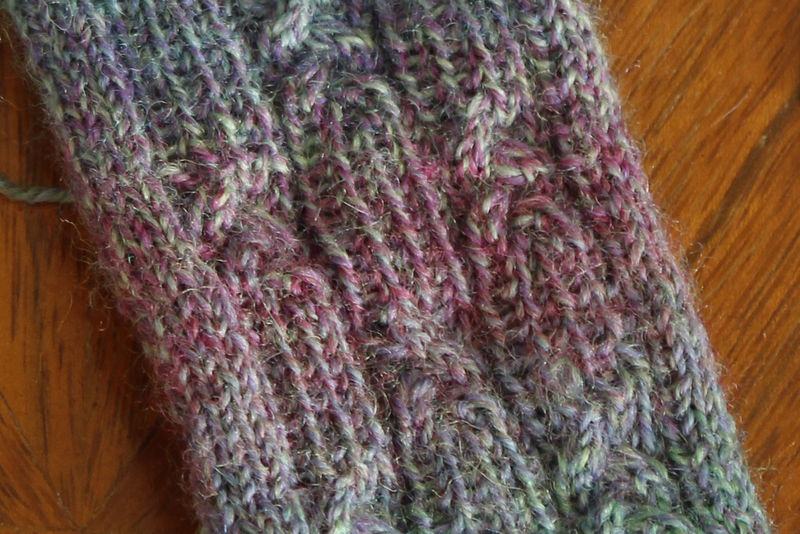 A check board pattern using stocking stitch and garter stitch and the traditional garter knit on a bias stitch. These turned out beautifully. They are bigger and clean like a charm. The colours look great in my kitchen. I am planning to create a chevron placemat pattern using the same cotton yarn (purchased from Camilla Valley Farm). I’ve been taking a Craftsy class to learn Double Knitting and so far I love it. My plan is to use double knitting in my placemat pattern to make them extra thick and sturdy. And here is my latest project. It is the Knot Socks pattern from the book Sock Knitting Master Class.